It’s hard for me to look back and see how much my life has become consumed with work and other duties since college graduation. If only I knew how valuable my college years were… Maybe I would have taken more time to experience things. Don’t get me wrong, being an adult is great! Unfortunately, it doesn’t offer all the adventure and opportunity that those college years bring. Friends grow up, people have families, work needs you, and experiences often need to be planned well in advance. 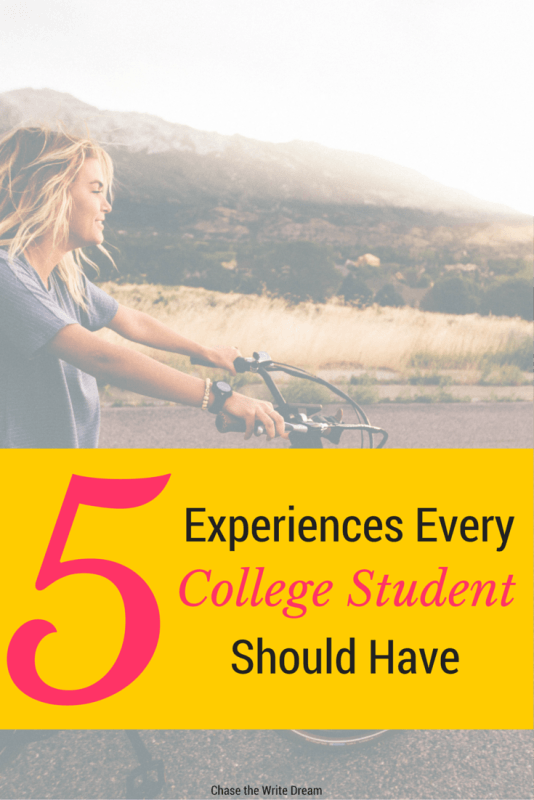 I would hate to see another person miss out on all the great things that those four years can bring, which is why I’ve created this list of 5 experiences every college student should have. Sure, there are plenty of other things that you can do besides those on this list, but if you check all of these off, then I assure you that you’ll be a more well-rounded adult once you enter the so-called ‘real world’. Getting financial management experience as a college student means that you are setting yourself up for success in adulthood. By learning how to budget your money now, you won’t have to worry about overspending in the future. 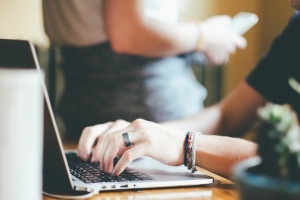 To help you get started, I’ve created a Free College Budget Template so that you can learn how to manage your money effectively. I’ve listed this at #2 for a reason. You are setting yourself up for a tough road in the job hunting world if you fail to gain on-hand experience while you are in college. Internships are a great way to get your foot in the door to see if you actually like the field in the first place. Although most of them aren’t paid, you will still gather valuable knowledge and will (hopefully) leave with the contact info of some of your supervisors so that you can use them as a reference in the future. The other awesome thing about working while you go to school is that it shows future employers that you are capable of managing your time wisely. 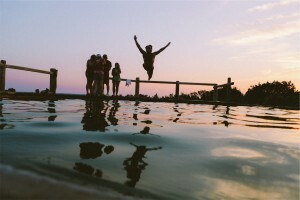 Adulthood is going to require you to juggle a job, running errands, and several other things, so it’s best to get practice now before you just dive right in! College campuses have special events and activities going on all the time. It’s also fairly common for cities, especially larger ones, to host monthly or annual events for the community. The reason that I put a cultural event as an experience every college student should have is because it opens your eyes to the world around you. We live in a ‘me-me-me’ world and sometimes we need to step outside of our bubble and remember that our world is quite diverse. Something I learned by attending cultural events was how to communicate in effective ways and how to show other cultural groups respect. Just because you have certain values doesn’t mean another group is going to have the same ones. That’s right. I said conflict. Look, the reality is that you aren’t going to like working with everyone you meet. In the majority of your jobs, there will always be at least one person who you don’t mesh well with. Additionally, you’ll encounter conflict with your family, spouse, children, and many others throughout your adult years. That’s why it’s so important to experience conflict as a college student and learn how to work through it effectively. The key here is to learn how to handle it. If you know you’re a hothead who blows up whenever someone disagrees with you, then it’s probably time to practice how you are going to stay calm in the face of adversity. That last thing you want is have a disagreement with your boss that ends with you packing up your things and walking out the doors for the very last time. The thing I love about adventure is that it can be completely unique to you. What makes your heart jump for joy? What makes you nervously excited? Do you have an activity that you’ve always wanted to do but never had the chance? The goal is to find something that makes you feel free-spirited. For me, it was taking mini-getaways on the weekends. For some of my friends, it was participating in those crazy obstacle course races or bungee jumping off a tower (no thanks). This is the experience when you let your inner child be free! Your college years will go back faster than you think. Take advantage of all the opportunities and experiences available to you.